When a parent decides to homeschool their child, their education and academic growth is completely a parent’s responsibility. A parent has to give their complete attention to understand their child’s learning needs. They not only need to understand the child’s learning abilities but also their hobbies and interests too. In school, the subjects are fixed. They have to study the subjects that are assigned for their specific academic year. There is no option to select subjects according to the student’s strength. Homeschooling is letting a child learn according to his ability to learn. Homeschooling can be fun with learning. A parent must design every learning session for a child to make the most out of each session. They should in no way make it forced learning. They should be encouraged to learn new things every day. A child should be able to explore his abilities. They should never feel that they don’t have enough abilities. Develop their strengths and invest quality time to work on weaker subjects. A parent should always take caution to never make their child feel that they are not good in a particular subject, even though they may be weak in some subjects. 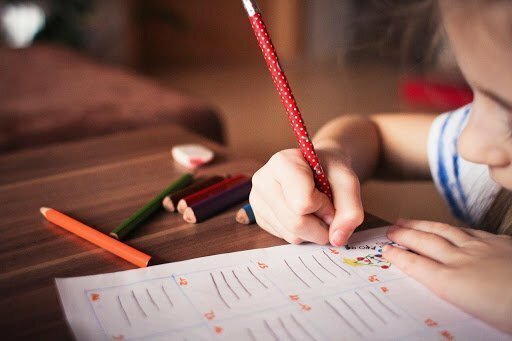 Let’s have a look at some interesting ways to improve the home-schooling experience for your child. The reason a parent decides to homeschool their child is to break from the traditional learning method. Every child has different abilities and intellectual level. Hence, the way they learn things is different from one child to another. Find out what is the best learning method for your child. A child may be a creative learner, auditory learner, read/write learner, or a logical learner. Create a learning model that is best suited for your child. Don’t make learning a chore for them. Make learning a fun activity. Help them to enjoy and create eagerness in them to learn more. Don’t burden them with learning various subjects like Science, Mathematics, English and other academic subjects. As much as it is important to learn academic subjects, encourage them to explore their interest and hobbies. Help them to identify their talents and nurture them. If they love singing, dancing, sports or any other activity, spend time training or help to pursue them. Along with academics, help them to learn extracurricular activities that they are interested in. If parents support their children to develop their talents, they will show more interest in studying every subject you would like them to learn. Public or private school children can easily make friends in school and socialize with other kids. It is not the same with homeschooled children. They only have their parents and siblings (if any) to interact at home. The parents should help their children with socializing and encourage them to make friends with other children. They should make sure their child participate in community sports, join a dance class, music class, swimming class, or other such activities. All homeschool parents from the community can come together and organize a field trip so that the children can mingle with each other and make friends. Reading is important not only for brain development but for knowledge as well. A child who reads is much more knowledgeable than a child who doesn’t read. It is very important to introduce your child to books. Children who start reading at an early age will be able to read at a faster pace. Normally, a person can read 200 to 250 words per minute. However, a person who can read at a faster pace can read around 400 to 1200 words per minute. A child who can read faster absorbs more information in lesser time. Speed reading will develop their ability to comprehend information quickly and gain more knowledge. A child who can speed read will read more books than a child who reads at an average speed. You can check some excellent online speed reading courses here. A child studying in a school will be spending a good amount of time finishing homework and then preparing for the next day till late in the night. A home school child doesn’t have to worry about finishing homework. A parent can have a more relaxed schedule for their child. They can spend a good amount of quality time with their child teaching them various subjects and disciplining them. Sleeping early and waking up early is one of the healthiest habits a parent can teach their child. This habit will stay with them when they grow older. A parent must teach their child the importance of rest and sleep of 8 to 10 hours for their physical and mental development. Sleep is important not only for a child but also for a parent. A parent should ensure that they have a fixed bedtime for their children and for themselves. A comfortable and firm mattress and pillow is important for a sound sleep. If the mattress or pillow is not comfortable, it will affect their sleep. A night of disturbed sleep can lead to cranky mood and a bad day. As it is important to have a fixed time to go to bed, there should be a fixed time to wake up as well. If you let your child sleep till late in the morning, they will get lazy and will eventually affect the time allotted for studies. Home-school allows a parent to mold their child into great personalities. They can discipline and teach them great values of being a good human being and a family person. A child who is homeschooled learns about family values and sharing and caring for their siblings. Bullying, drugs and other bad habits a child learns or experiences from other classmates in school can be avoided. A parent is completely responsible for their child’s upbringing emotionally, academically and mentally. Give them the opportunity to explore themselves not just academically but through their hobbies and interests too.